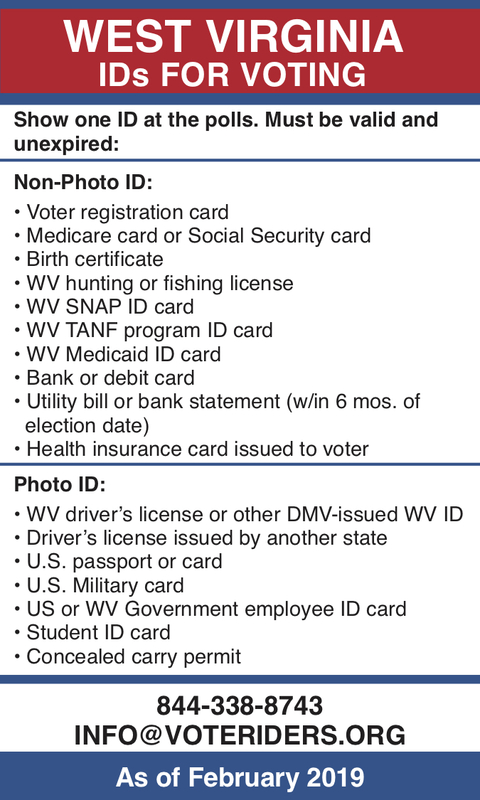 Concise guide to voter ID rules in West Virginia as of February 2019. 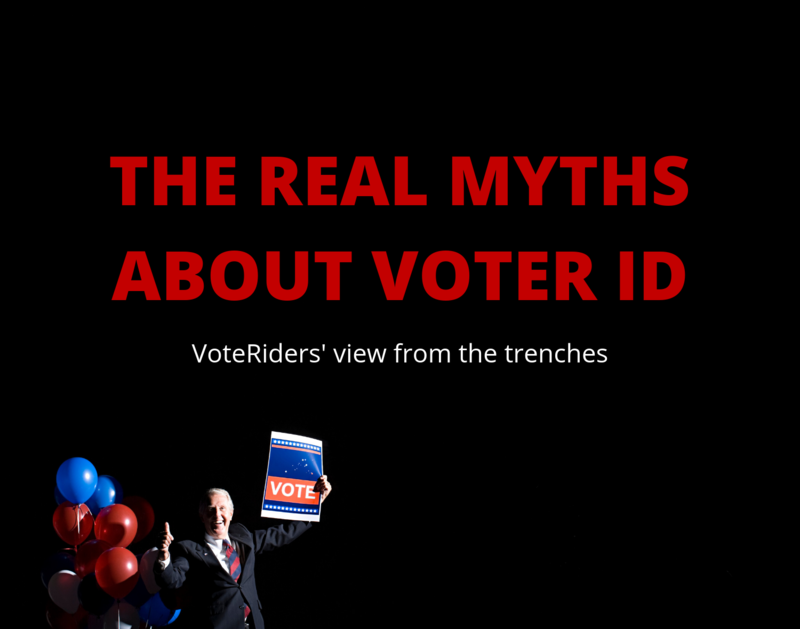 For questions or help obtaining WV ID to vote, call VoteRiders’ toll-free Voter ID Helpline: 844-338-8743. Show one ID at the polls. Must be valid and unexpired. Signs an affidavit at the polling place confirming the voter’s identity. A voter does to have to show ID to vote if a poll worker has known the voter for at least 6 months. No additional affidavit or ID is required. The resident’s polling place is located at the care facility. Q: What if a voter cannot obtain any of the forms of ID? A: Registered voters can apply for a free Voter ID Card from their county clerk. The Card will show the voter’s name, address, photo and voter identification number. Applications must be submitted in person at the county clerk’s office, and voters can choose to be mailed their Voter ID Card or pick them up at the county clerk’s office. 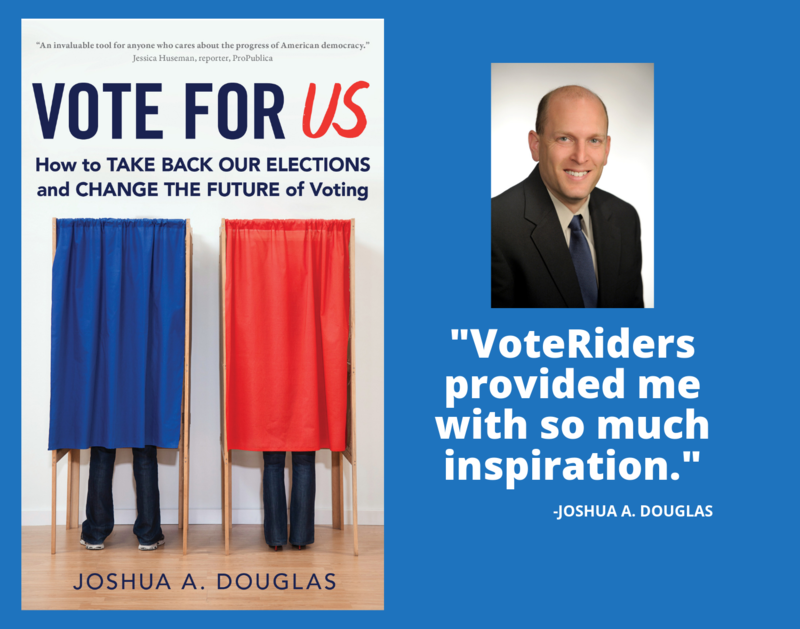 Q: What if a voter shows up to vote, does not have an ID, and does not fall under any of the exceptions? A: The voter will be able to vote a provisional ballot and has an opportunity to prove his or her residence at the county clerk’s office before canvass begins (usually 5 days after Election Day).